Tulsa Community College provides several degree programs in the biosciences that lead students to successful careers, whether they choose to enter the workforce after graduation, transfer to a four-year university, or pursue advanced degrees. Research emphases at TCC, unparalleled among community colleges, provide an exceptional foundation for any of these options. 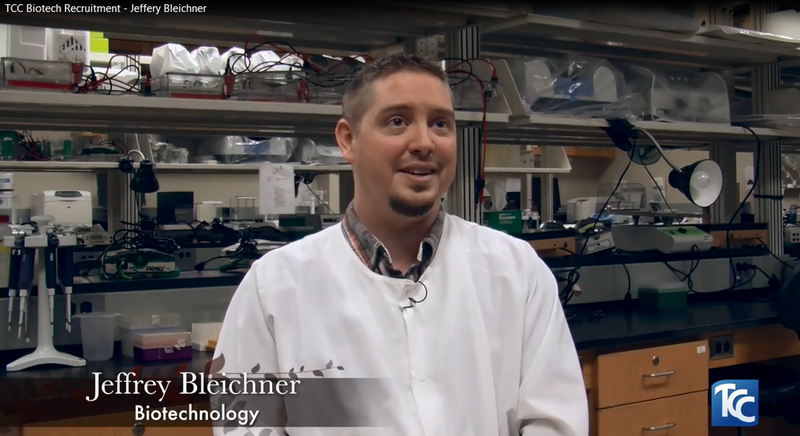 A bioscience degree from Tulsa Community College could be the beginning of your most exciting venture! 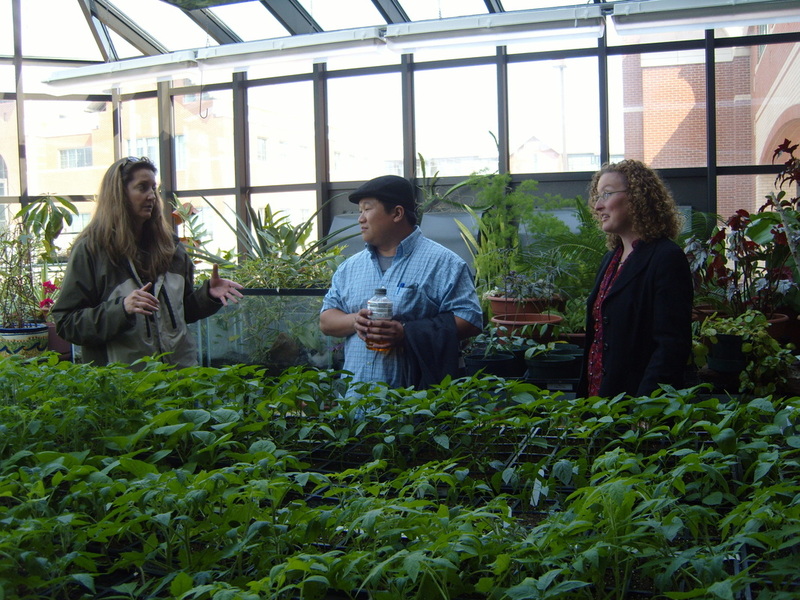 Professor Patty Smith and researchers from the Jet Propulsion Laboratories are pictured in the West Campus Greenhouse. Smith conducts botany conservation and biology conservation research with her students. 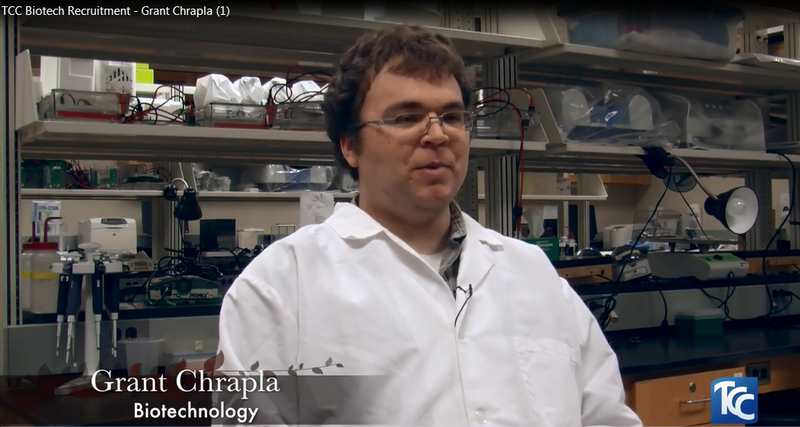 Summer research experiences are also conducted at sites in the Tulsa area. This DNA model represents actual DNA that was collected from TCC Foundation donors, the Howard and Billie Barnett family. 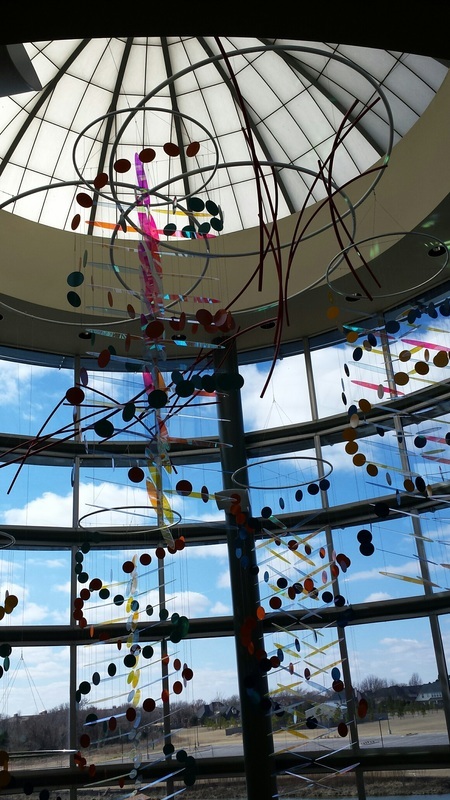 The model is located in the Southeast campus Health Sciences and Biotechnology Learning Center. Annual outreach to high school students and teachers to learn about opportunities in biotechnology. Activities include speakers, hands-on activities and a lunch-and-learn session. The program places emphasis on underrepresented students. 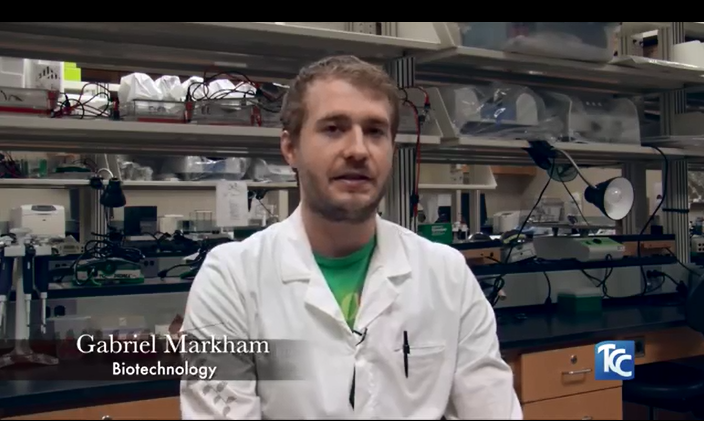 Click here to see more on the TCC Biotech web site. Funded by an Institutional Development Award (IDeA) from the National Institute of General Medical Sciences of the National Institutes of Health.